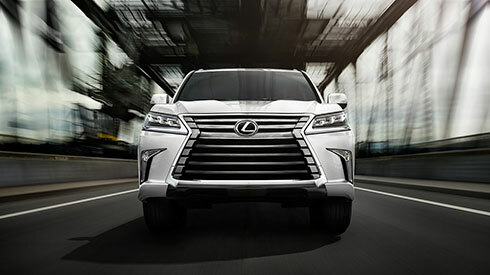 A masterpiece that stands at the pinnacle of the Lexus SUV line-up, the LX fuses the powerful muscular performance and intelligent packaging worthy of an iconic flagship, with the sublime refinement and finesse that are the distinctive hallmarks of Lexus luxury. The LX expresses its SUV leadership with the dynamic presence of an authentic 4WD. Built to explore demanding terrain, the strength and 4WD capabilities to confidently tackle tough off-road challenges also contribute to outstanding on-road comfort and driving ease. It exudes urban sophistication with its eyecatching styling, poised lively performance on the freeway and city streets, and the elegant luxury of refined appointments. In evolving the iconic flagship of Lexus SUVs, the muscular design dynamically expresses the LX theme of ‘muscular premium’ through the key concepts of ‘powerful’, ‘advanced’, ‘luxurious’ and ‘urban sophistication’. The dynamic V8 engine generates impressive power to tackle very demanding off-road conditions. The cylinder block is die cast in lightweight yet strong aluminum alloy, providing outstanding reliability and durability. The next generation design of the distinctive 3-eye, energy-efficient LED lamps, which illuminate in a signature Lexus L-shape, flows seamlessly into the spindle grille to give the LX a bold fresh face.